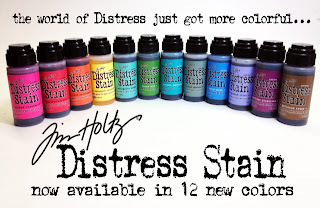 Tim Holtz 12 New Distress Inks! 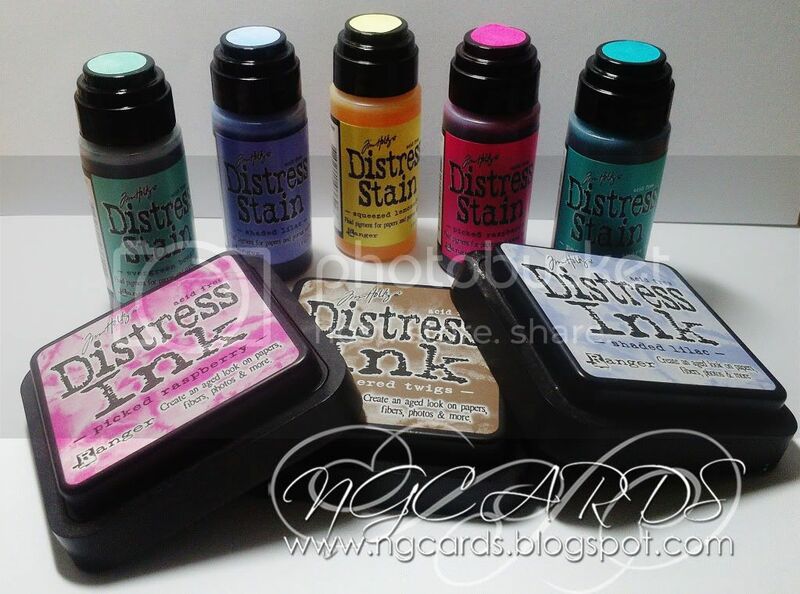 This week it's all about the 12 New Distress Inks . Stains by Tim Holtz! You may remember that these were all seperate Limited Edition Sets of 3 ... however Tim decided to bring them all out properly as part of the collection last month! I thought that for today I would create a bright and eye-catching tag using these colours for you all. Most people think of the Tim Holtz style as just brown and grungy but I wanted to show you that it doesn't just have to be like that! To create the tag select 3 or 4 Distress Stains of your choice, spritz the tag your using quite heavily with water and simply swipe all of the stains over the top. Heat dry and repeat the process if your not entirely happy with how it looks. Ink around the edges with Distress Ink. 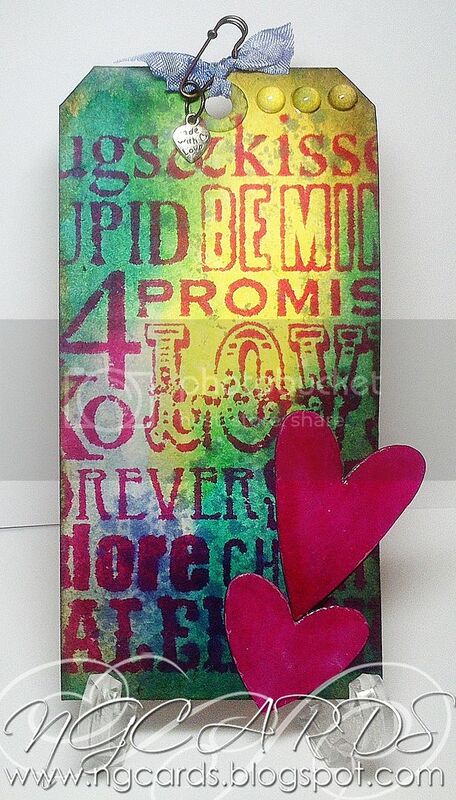 Next I used the large background Stamp from the Tim Holtz 'Valentines Silhouettes' Set inked up with a colour that would stand out from the background. 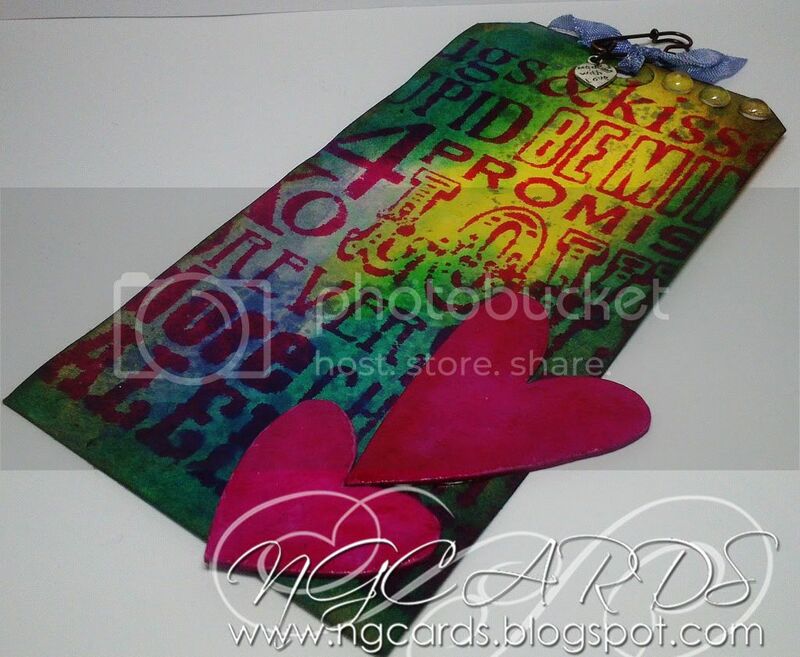 Complete the tag by cutting out some hearts from the Tim Holtz 'Mini Hearts Set' Movers & Shapers Die from Grungeboard and cover with Distress Stain. I finished them off by adding some Crackle Accents once they were stuck down. Using Distress Stain ink up some white ribbon and thread through the top of your tag. Thanks for popping by & enjoy New Years Eve!